The wonders of word press stat tracking, eh? 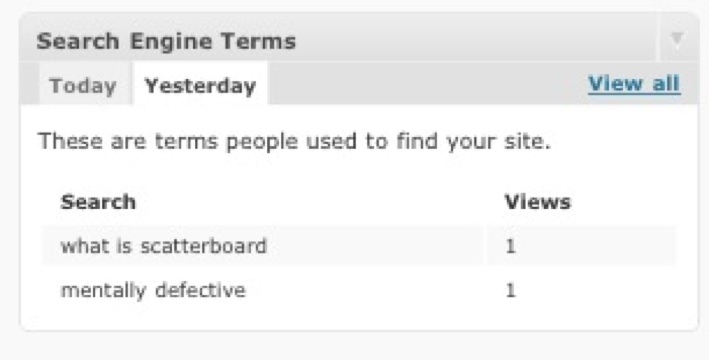 Not only can I tell how many people visit the site, which pages are most popular and what links they have a look at on the side- but I can also see what people have used as their search terms to find us. This one was a particular gem. Glad that we fit the search criteria for “mentally defective”.I hope whoever searched for that was happy with their result. If it was you- let me know. Wizzard.